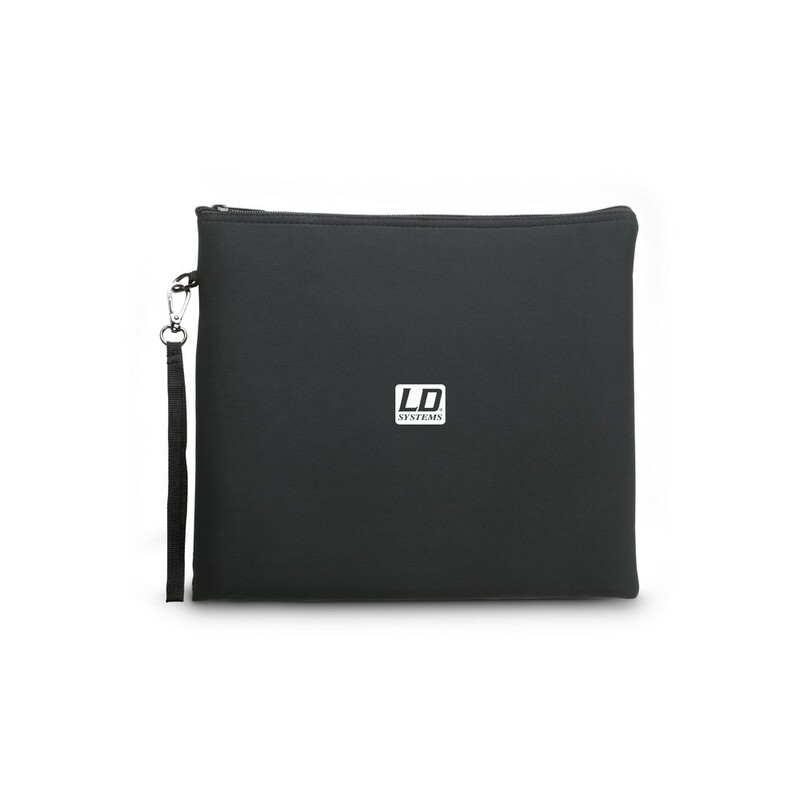 The spacious universal bag by LD measures 30 x 30 cm, offering plenty of space for diverse storage options. 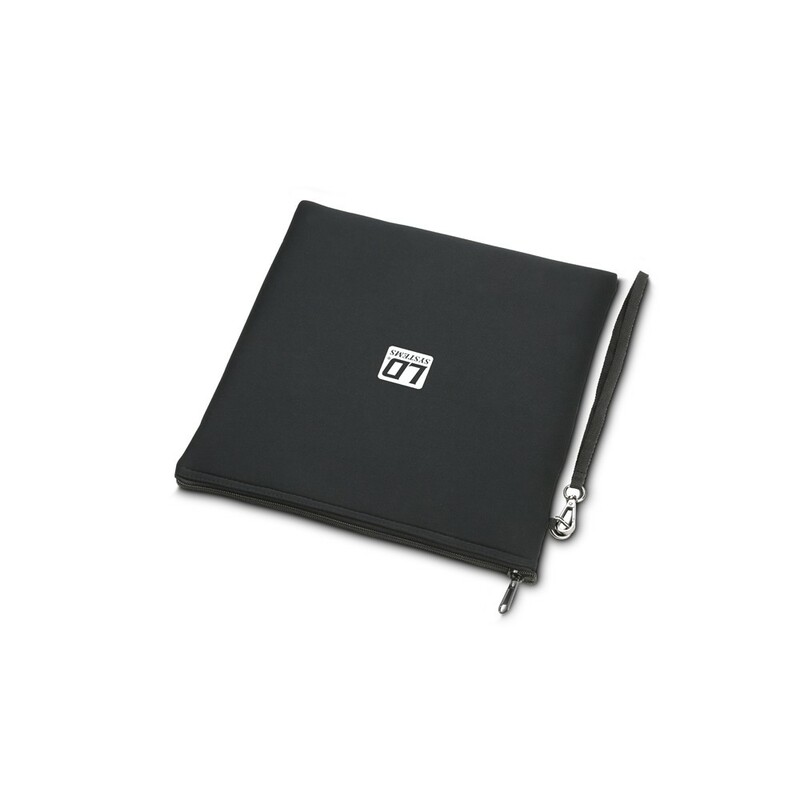 It also provides ideal protection for your equipment from soiling, damp and damage. 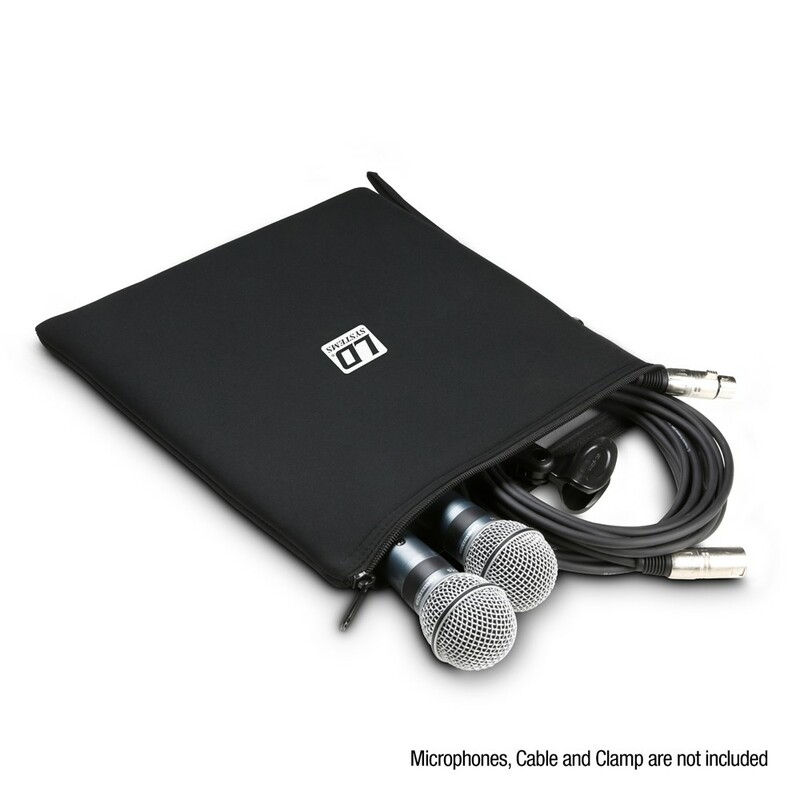 The bag holds up to ten microphones as well as various accessories such as microphone clips, cables and other equipment. 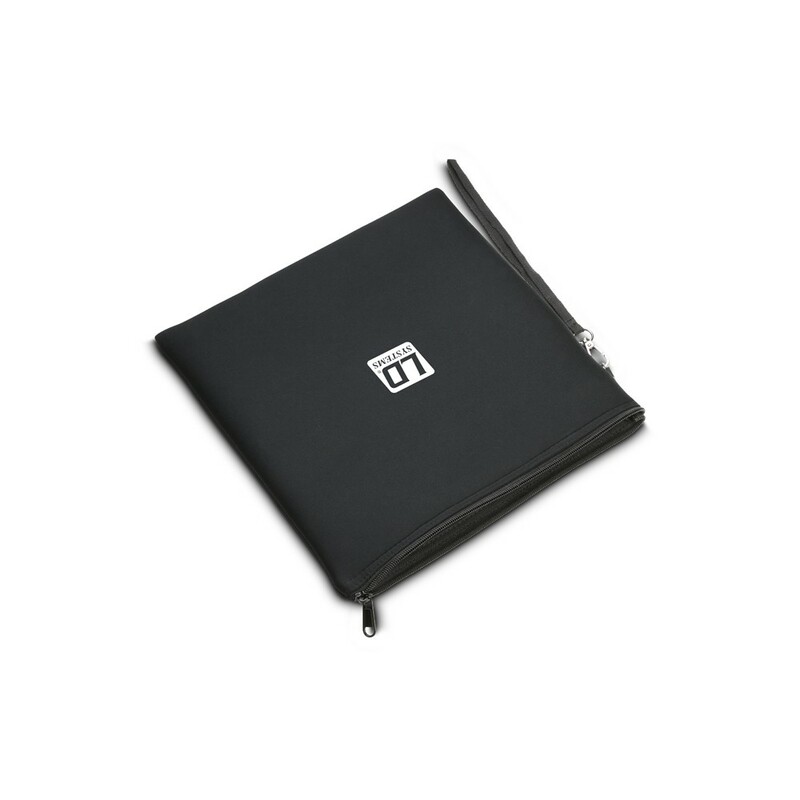 Made of durable and flexible neoprene, it is neat, functional and elegant in design. 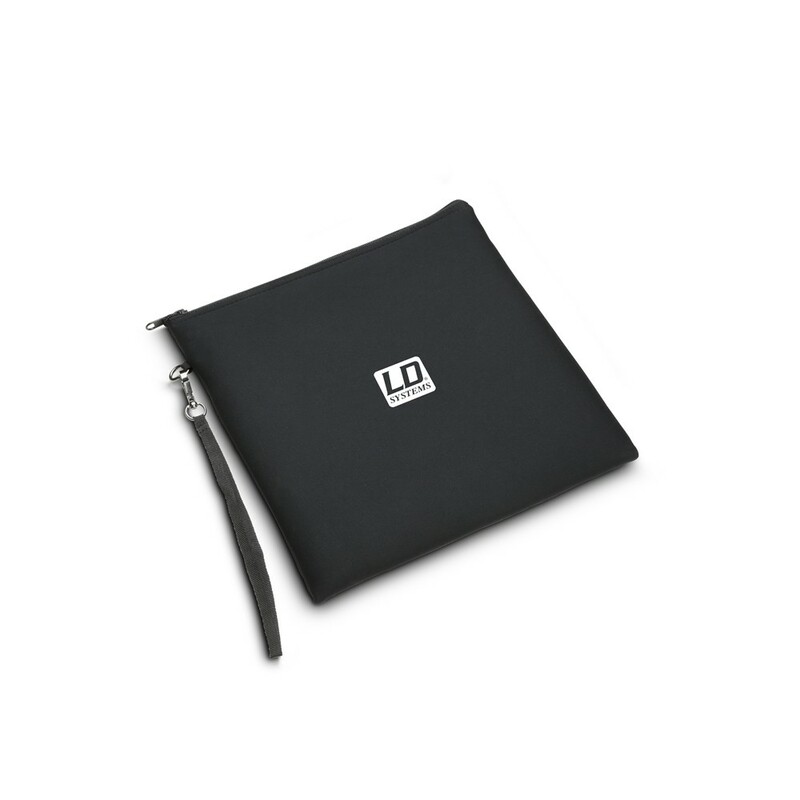 The bag is closed with a robust, continuous zip fastener. A separating web divides the interior to protect the equipment. A removable strap keeps your hands free while carrying the bag and also serves as a convenient hanger.